Our beautiful Sasha was adopted today. Mom Hilarie, Dad Dave and big brother Chance drove over 6 hrs to pick her up. She will be an only dog for a while they do have their eye on Waylon. Sasha will enjoy one on one with her family. The family will become members so we should have lots of updates. 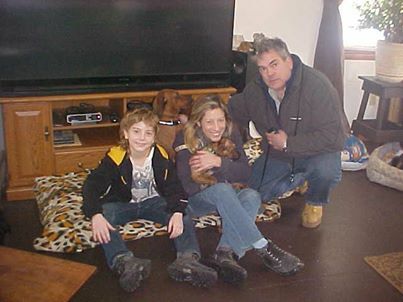 This wonderful family has a ton of love in their hearts and will give Sasha a wonderful home.